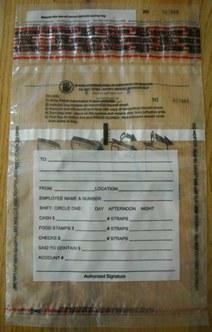 Our 9 inch x 12 inch E046 Clear Plastic Bank Deposit Bag, Cash Bag comes in a package of 500. 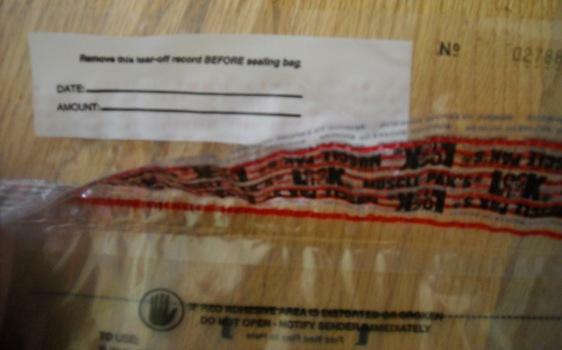 Deposit bags have a tamper evident adhesive closure at top, outside pouch on the back side of bag with an adhesive strip closure, sequential numbering and tear off receipt at top of bag. 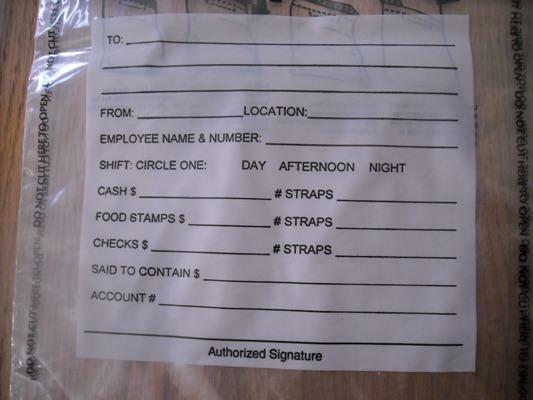 Go to top of this 9x12 E046 Clear Tamper Evident Plastic Bank Deposit Bags w/Pouch, 500 page.